Congratulations to the ‘Newest Private Pilot’ Richard Gerdeman pictured after his checkride with Chris Anderson flying our Cessna 172, N4811G, Richard and Instructor Ed Lewis did a great job! 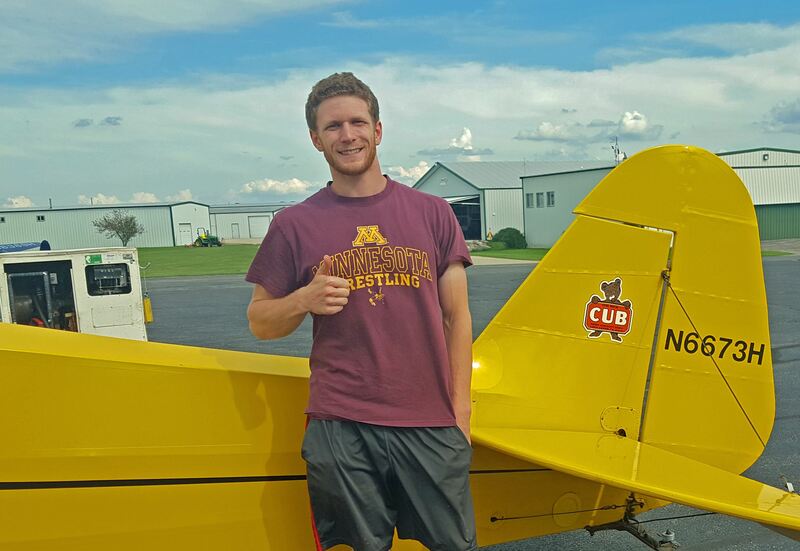 Congratulations to Ryan Plourde, the ‘Newest Tailwheel’ pilot here. 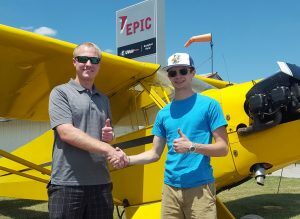 Pictured with our J-3 Cub after flying with Instructor Ed Lewis, great job Ryan! 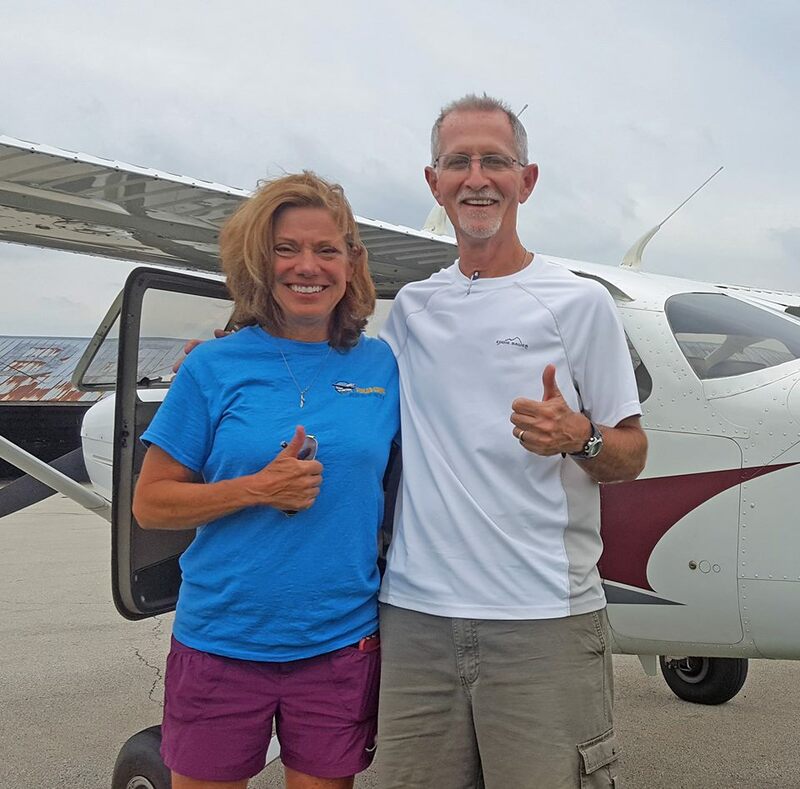 Congratulations to a new ‘Private Pilot’ and a happy guy, Gary Grable after his check ride with Chris Anderson flying our Cessna 172, N723PG with Instructor Ed Lewis….great job Gary…now fly, fly, fly for fun! his Cessna 150 N5993G. Great job on a hot day! Congratulations to Greg Edwards on his “First Solo” today pictured with his Instructor Adam Carlson after flying our Cessna 172, N4811G….good job Greg…..now fly…fly…fly!! 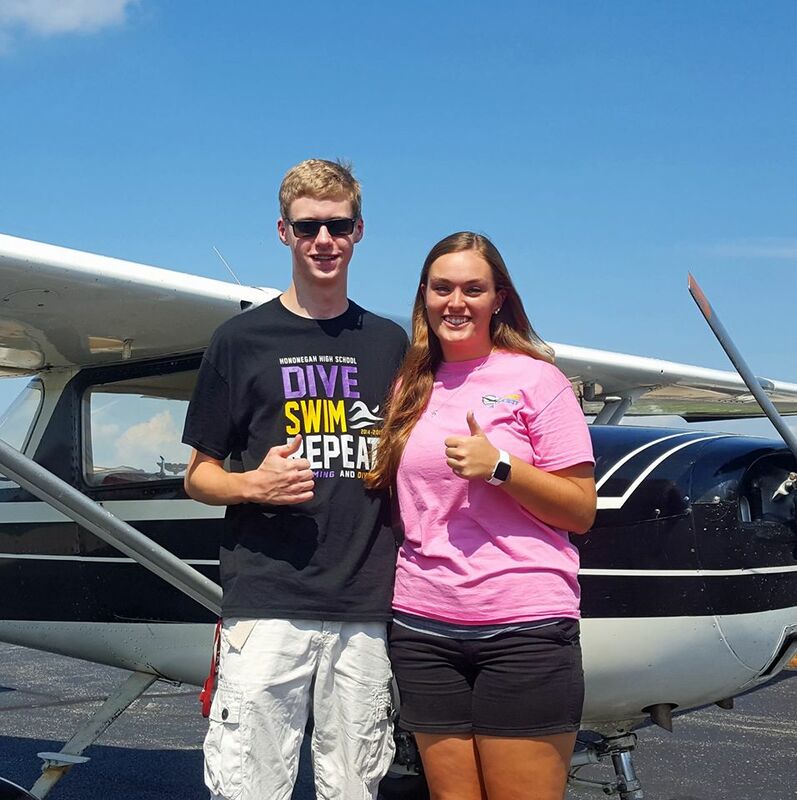 Congratulations to JohnLewis Elliott on his “First Solo” today pictured with his Instructor Nicki Ervin after flying our Cessna 152, N68750….great job, hugs for everyone!! 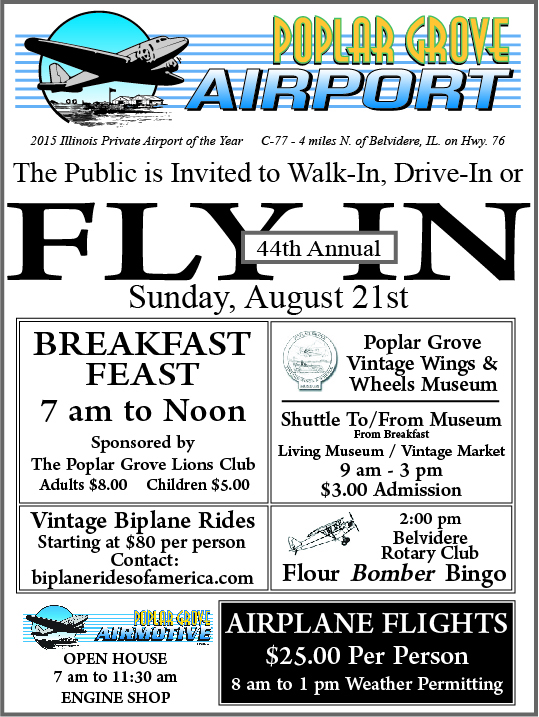 Click here for your own PDF copy of our flyer. Please print or email and hand out to anyone interested in attending! 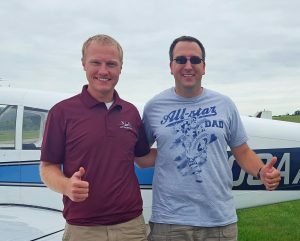 Congratulations to Adam Cajandig on his “First Solo” today! 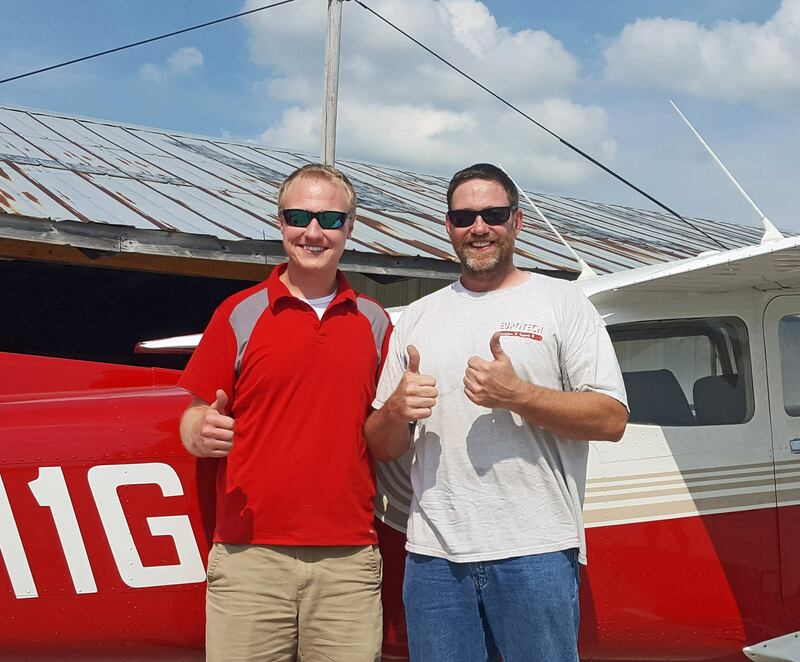 Pictured with his Instructor Adam Carlson after flying our Cessna 152, N68750…a great day you’ll never forget! Congratulations to Dean Svarc for his “First Solo” today in his family Cherokee140! 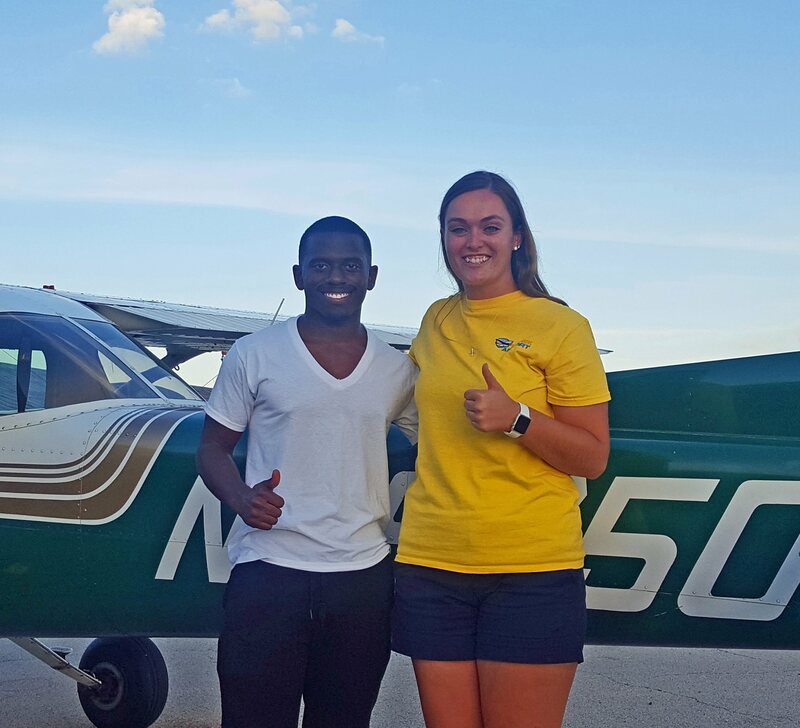 Pictured with his Instructor Adam Carlson with help from Instructor Nicki Ervin….good job Dean, now fly, fly, fly! 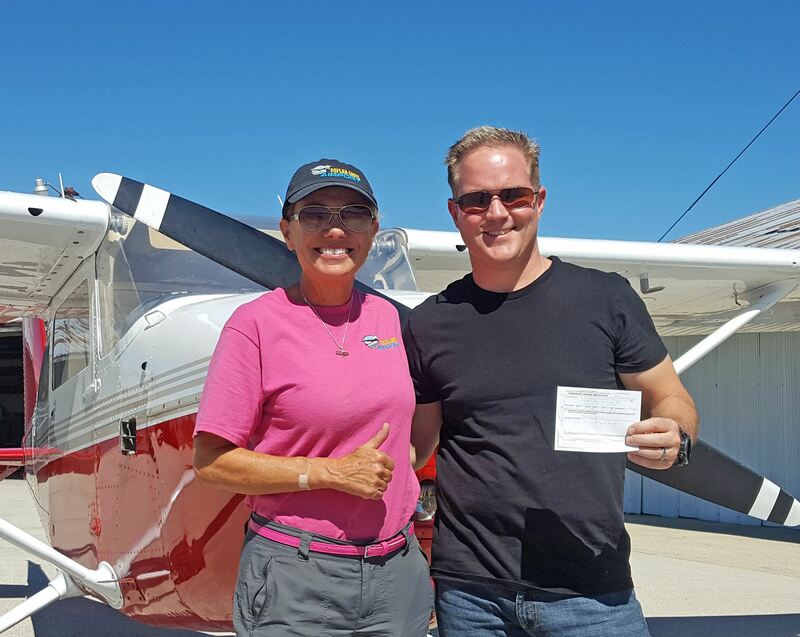 Congratulations to Jack Scott for gaining his Tailwheel Ensdorsement! 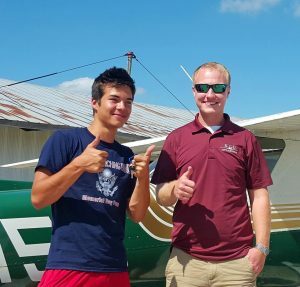 Pictured with his Instructor Adam Carlson after flying our J-3 Cub and Cessna 140….let the fun begin!